Hermes is a venture of Greek Golden products; we have been in the market for the past 70 years making high quality extra virgin olive oil. We have won several awards over the years in England, France, Switzerland and now we wish to present our product in the Indian market. All of our products come from our personal farms. We never use any kind of material from other sources. This is why we always manage to maintain the same quality for every single one of our product. Our brand has been in the market for a long time, and distributing our products in 19 countries already and the great difference is that we have the lowest acidities in our products maintaining a good aroma and flavour without any cholesterol. Why do you seek a franchising business? We want to enter into the Indian market as we know that there are Olive fields in the country. 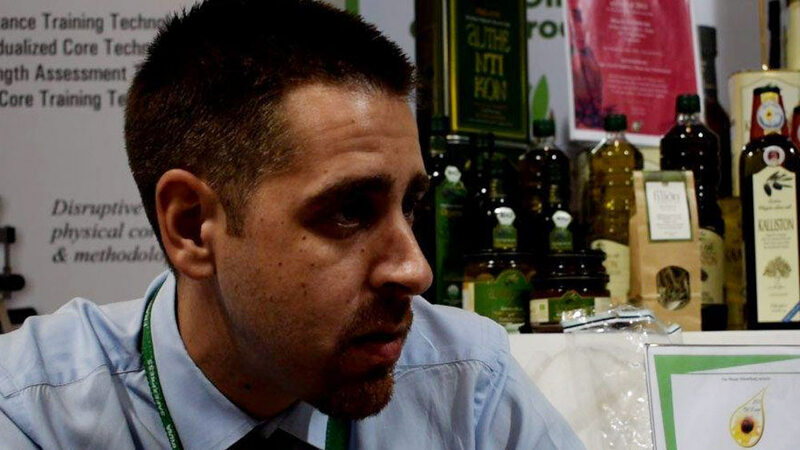 We want to educate the people with the merits of Greek olive oil as it is different from all other forms of olive oil. We wish to find distributors who respect the savour and want to explore more about the Greek olive oil and actually showcase how beneficial it is for the consumer. Our main support is extremely strict criteria for our products. We already know that there has been some problems in the past few years in India, however, when it comes to that we are able to 100 per cent guarantee to provide exactly the same quality product from first to last order. Secondly, we wish to showcase our products in various restaurants probably in your food magazines to market our product. We wish to cover all the major markets in India. We are open for suggestions, but initially we would like to collaborate with those people, who are already into oil business in the country and wish to make something better.